This is the first stop to Dessert and I was quite surprised that we are having pastries desserts over tea time in Thailand. It's definitely no longer the Thailand that I used to know. 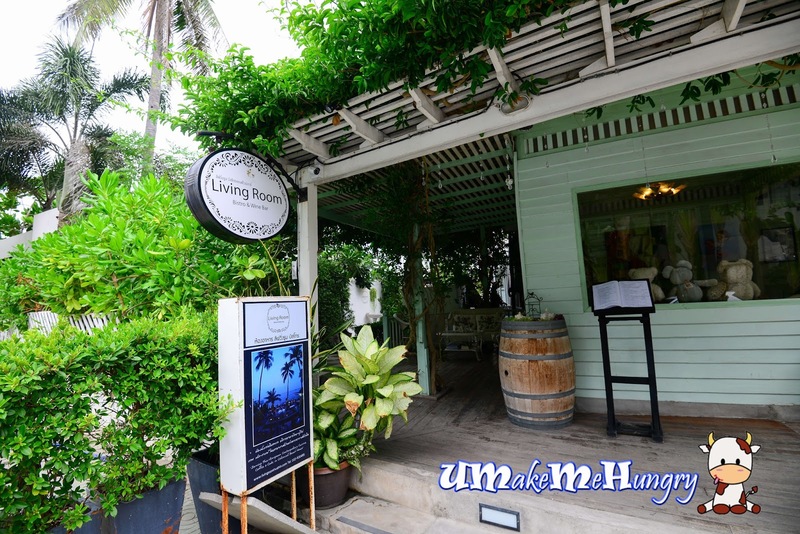 Passing through the garden, you will find Living Room Bistro & Wine which is just located next to the beach / sea. 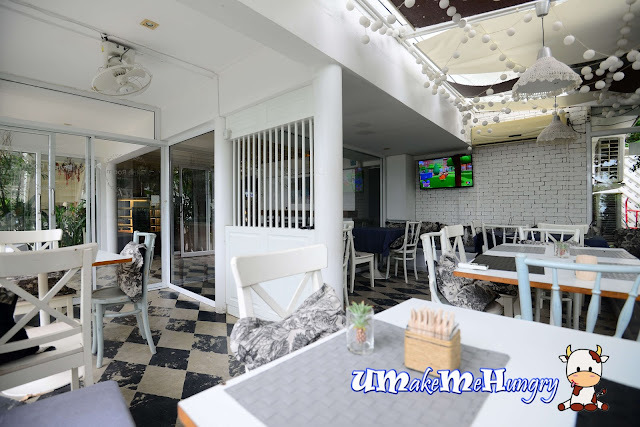 It was a little bit drizzling during that time and we took the outdoor seating under the big beach umbrella to shelter ourselves away from the rain. However, we could not stay any longer not because of the rain but the flies that came disturbing us. We requested for an indoor seat and was ushered into a sheltered area. We felt so exclusive as it gave us a feeling that we were in the private event room while the server switched on the air conditioned unit solely for us. While waiting for the rain to goes off, we got ourselves some beverages and cakes to pass the time. Very Coconut Cake was served on a wooden board topped with coconut flesh on the cake. There were alternate layers between the sponge cake and fresh cream. Light and fluffy, bet you will eat them without any guilt! What a special way to pass a wonderful afternoon in Hua Hin, pushing back all your worries and issues that we had in Singapore. 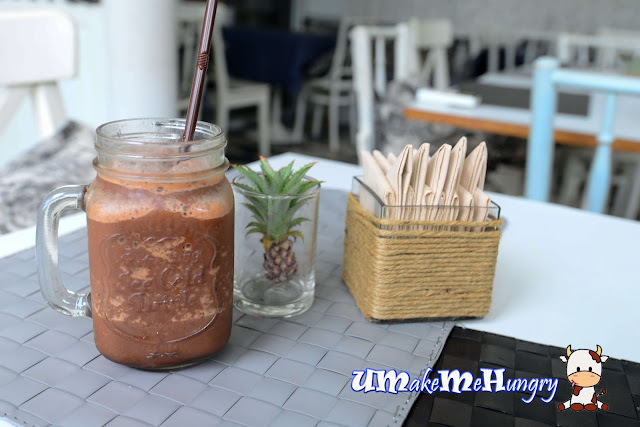 Smoothie was chocolaty and was not dilute, it was thick till the point that I thought having more sips of that will kill my throat. An absolute beverage not to be skipped if you are in the Land of Smiles. 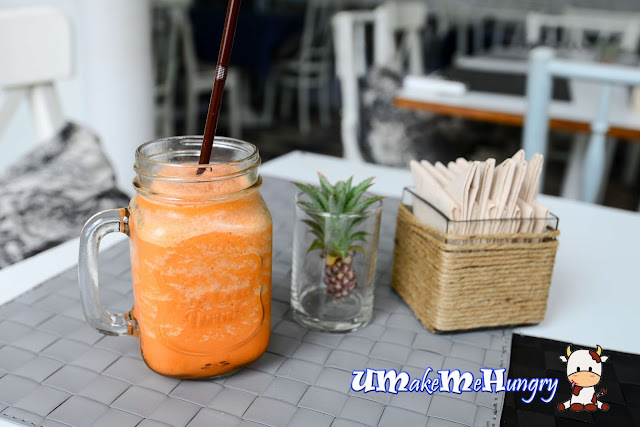 Thai Milk Tea smoothie was authentic, on the sweeter side, just like what most Thai preferred. However, if you were to drink the chocolate earlier on, it aids abit in reducing the sugar rush on your tongue.